Intelligence has been described as the most powerful phenomenon in the universe. Humans leverage intelligence as they plan, coordinate, execute, and interpret the movement of their body during interactions with the world around them. In the case of upper-limb amputation, new prosthetic technologies aim to potentially restore a full range of dexterous movements and the resulting sensations. 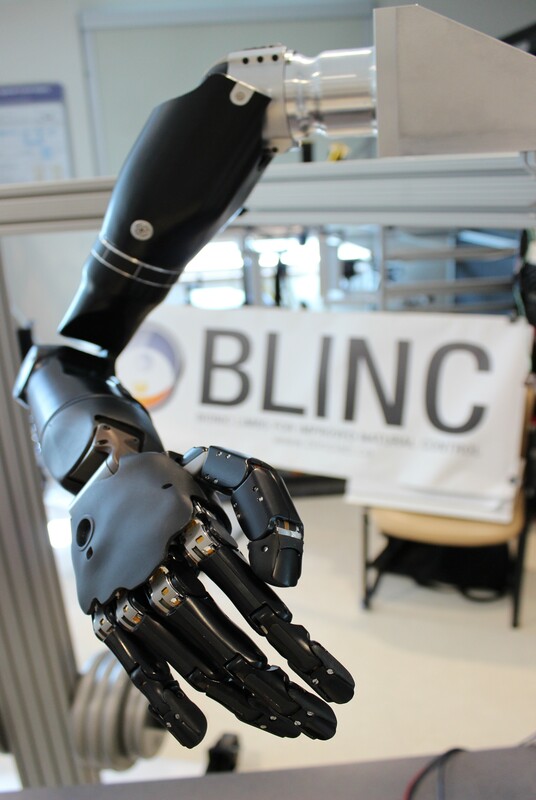 However, as the complexity of new prostheses grows, and the information both from the prosthesis and from the user increases in volume and diversity, synthesizing information for control and feedback becomes a significant bottleneck to restoring upper-limb function. Prosthetic devices need to take an active role in leveraging information to support their users. We propose that increased intelligence on the part of prostheses will play a crucial role in restoring and someday reaching far past the abilities lost due to amputation. This work was supported by the Alberta Innovates Centre for Machine Learning (AICML), Alberta Innovates – Technology Futures (AITF), the Canada Foundation for Innovation, the Canada Research Chairs program, and the Natural Sciences and Engineering Research Council (NSERC).